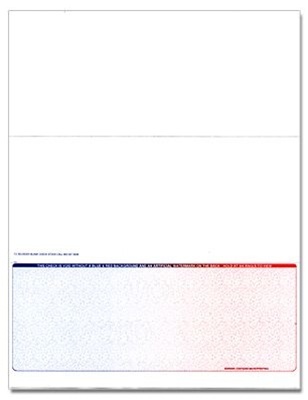 We order Blue-Red Bottom Form, Secure Blank Check Stock - 2 Perforation with Control #, the order process was simple and the delivery time was perfect. Web ordering process was painless and I encountered no issues. The online ordering system is very user friendly and is always easy to re-order. I would like for the invoice to come in a more timely manor. I always have to call to get an invoice.